Migrating data is often, if not always, a complex task or project. Therefore each migration must be approached humbly. If you fail in one phase, you'll most likely have to start the migration over again. The phase which is most complex and most time consuming is when you analyze data from a legacy system and map it to the destination system. If the destination system is SharePoint, questions like these might occur: Which data types should be used for metadata? Should we use a list or a library? How do we navigate correctly to our data? The Sharegate PowerShell commands are a powerful tool to execute repetitive migration tasks. Such tasks can occur when doing simple migrations several times. Automating parts of this process minimizes the amount of errors. An example of a simple migration could be migrating documents from a legacy system to a SharePoint document library using the same set of metadata. This is what I use it for, which is why I have created this script below. For the sake of this blog post, let's assume we have all files from the legacy system as documents, Excel, Word, PDF files etc. When I migrate documents from file shares to SharePoint, my process goes as follows: Upload documents to a SharePoint test server, modify the documents using some custom script and copy the document library to the correct site as illustrated below. I use a custom non-PowerShell script to change created by and modified by on the documents. With this said, let us dive into the script. The first step is to import the Sharegate module, connect to your Site and Document Library as described here. Next, we need to have a property mappings file for our migration. To do so, setup your profile and export it to the file system. Next we need to specify a path to where Sharegate should save our migration report file. Now that we’ve setup the variables for our destination Site and setup the property mappings, we want to upload the documents and save the migration report afterwards. To do so, we use the Import-Document command and Export-Report command. Once we’ve imported the documents to the Document Library on the test server, we will run any custom scripts on the set of documents manually. This could be to change some metadata or change the content of the documents. Afterwards we can copy the Document Library using the function Copy-List and export the result. The script can be modified as you wish by drawing from the full power of PowerShell. One improvement could be to delete and create the document library each time the script is run. This could be run from the server, but in most cases you want to create client side scripts. Another improvement could be to add exception handling when the Sharegate PowerShell commands are used. I’m not a PowerShell guy, and I haven’t really used PowerShell before, but the scripting part was pretty straight forward. I used the command index a lot and it proved very useful. 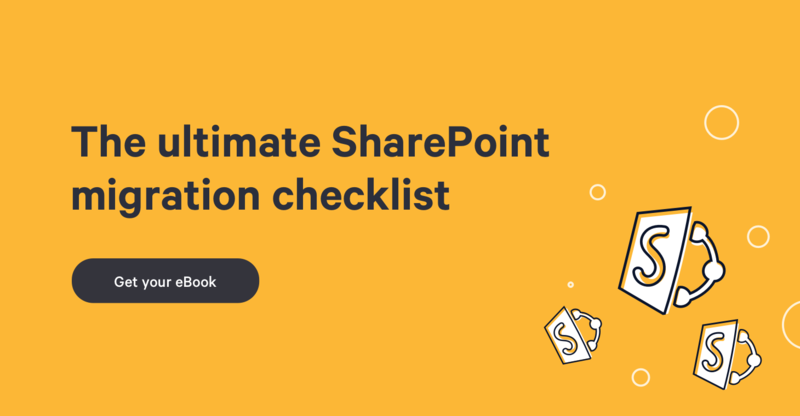 To sum it all up, for repetitive tasks in a simple SharePoint migration, such as moving documents from file shares to a Document Library using the same set of metadata, use Sharegate PowerShell commands to minimize the amount of errors. Define the migration process and automate it.